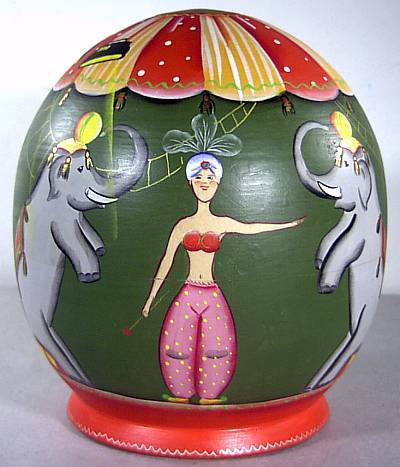 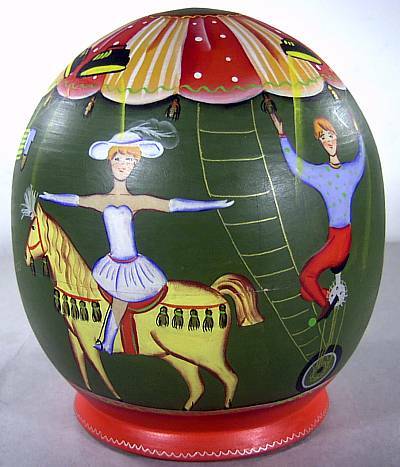 The excitement of a classic circus, with clowns, animals, gymnasts and more, is represented on the exterior of this globe. 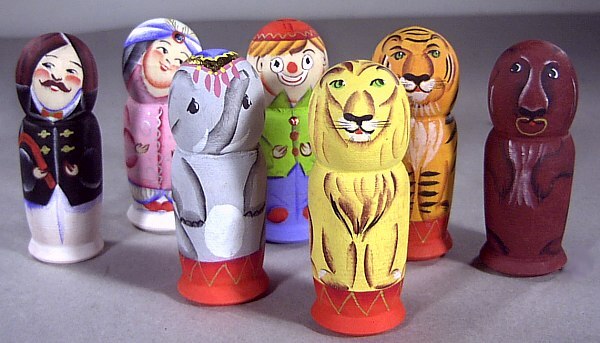 Inside are 12 little figures (each 2.375 high), including the ringmaster, three people in exotic dress, a couple clowns, a man in a red shirt (perhaps an animal tamer), a pair of lions, a tiger, bear and elephant. 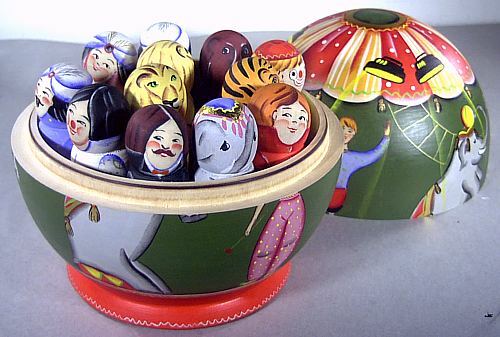 Cute, colorful and appealing set that's not your traditional nesting doll!